I have decided to write a review on Valentia Even Glow Serum because it is a product which combines a lot of effective anti aging , skin moisturizing and soothing ingredients. Now if you are a hyaluronic acid and vitamin C lover or even a rosehip oil fan, then this serum can give you a combination of all your favorite components and that is what is probably so special about this facial serum. 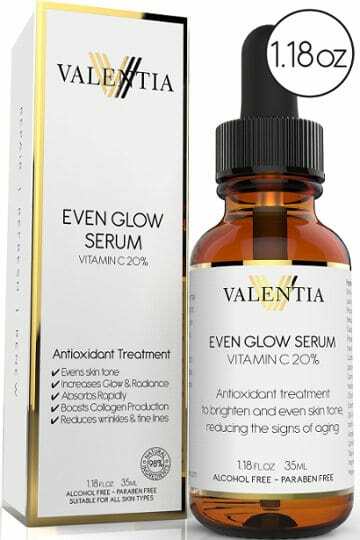 The fact that Valentia Even Glow Serum combines some well reputable skin boosters such as vitamin C, botanical hyaluronic acid, organic rosehip oil, organic seabuckthorn oil, vitamin E, plant stem cells and green tea extract together with very positive user reviews as well as a lifetime guarantee makes this serum an attractive option for all people who like using a good quality serum in their daily skin care routine. 20% vitamin C and vegan hyaluronic acid. A little goes a long way due to its non watery consistency. 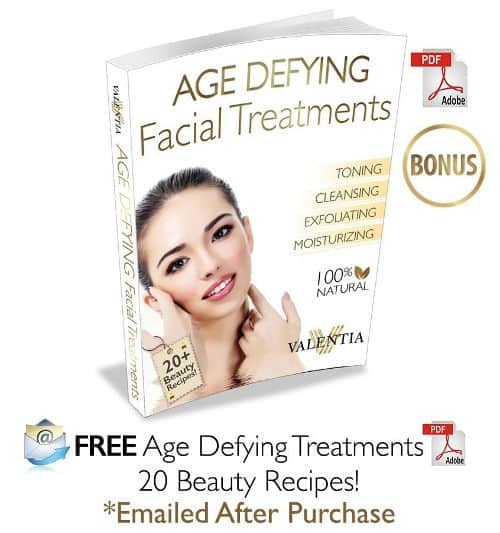 Ebook with 20 beauty recipes offered for free with each purchase. According to Valentia skin care, all the ingredients are carefully selected due to their anti aging properties as well as their ability to boost vitamin C potency. What I can say is that it is not a rare thing at all to see vitamin C combined together with hyaluronic acid in a facial serum or even rosehip oil combined with vitamin E but this serum is combining a lot of effective and well appreciated by users skin care ingredients. The benefits of this great mix is said by the company to be reducing fine lines and wrinkles, evening skin tone, boosting collagen, increasing skin glow, vanquishing dark spots, revitalizing and refreshing complexion, all day hydrating, plumping and hydrating skin s well as reducing pores and leaving you with a clearer, more supple and smooth skin. Vitamin C is well known for boosting collagen, protecting skin’s elasticity, minimizing sun damage, making skin more firm, radiant and with less visible wrinkles. It can also fight dark spots. 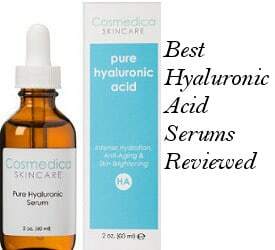 Hyaluronic acid helps the skin to retain more moisture inside making it look plump, soft and better hydrated. Rosehip oil is a great healer and is used also on its own to effectively improve the appearance of fine lines, scars, sun damage and stretch marks. Sea Buckthorn Oil is rich in antioxidants and carotenoids. It is great at nourishing the skin and promoting cell regenaration. Green tea conatains catechins which have anti irritant and anti inflammatory properties while plant stem cells are skin detoxification agents which help skin get rid of cell waste. After a short description of Valentia serum main ingredients let’s have a look at the full list of them. Proprietary Organic Skin Tea, Organic Aloe Barbadensis Leaf (Aloe), Sodium Ascorbyl Phosphate (Vitamin C), Methlsulfonylmethane (MSM), botanical hyaluronic acid, plant stem cells, Organic Rosehip Seed Oil, Witch Hazel, Pink Grapefruit Essential Oil, Carbomer, (2s)-2-Amino-5-guanidinopentanoic Acid, Vitamin E, Algae Extract, Japanese Green Tea Leaf Extract, Seabuckthorn Oil, Phenoxyethanol, Ethyl Hexyl Glycerin. On a clean face massage softly some drops of this serum until they get fully absorbed. Remember that as with most of the vitamin C serums and in case of a temporary feeling of dryness, a good quality moisturizer needs to be applied. What Do Valentia Even Glow Serum Reviews Say? Younger and more vibrant looking skin. A lot of users have mentioned how more revitalized, fresh and younger looking their face looks. Less visible wrinkles. Laugh lines, forehead creases and other types of lines and wrinkles seem less noticeable after regular use of this serum. More even tone and brighter complexion. Many people have also mentioned a distinct change in their skin’s brightness as well as tone. Softer and better moisturized skin. Users love how this product can get rid of dry dead skin, revealing a softer and smoother complexion which feels more moisturized. More clear skin. 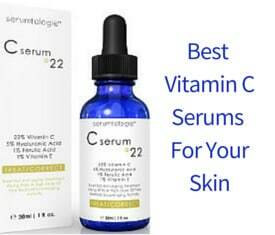 Some people have reviewed that their skin is more clear than it was before using this vitamin C serum and they are glad that it hasn’t been causing any breakouts. Heals scars. Surprisingly enough, users report that some scars they had for quite a long period started healing very fast. 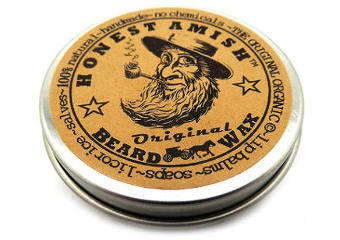 Helps improve redness. Together with all the above benefits a few people have seen a decrease in the appearance of their red spots. After reviewing Valentia Even Glow Serum, I would say that it seems like a multi task skin booster which contains some effective and favorite among users anti aging skin beauty ingredients. The quite high percentage of natural and organic ingredients together with the 100% money back guarantee and the great reviews makes this product quite appealing for being included in the “must” order list.